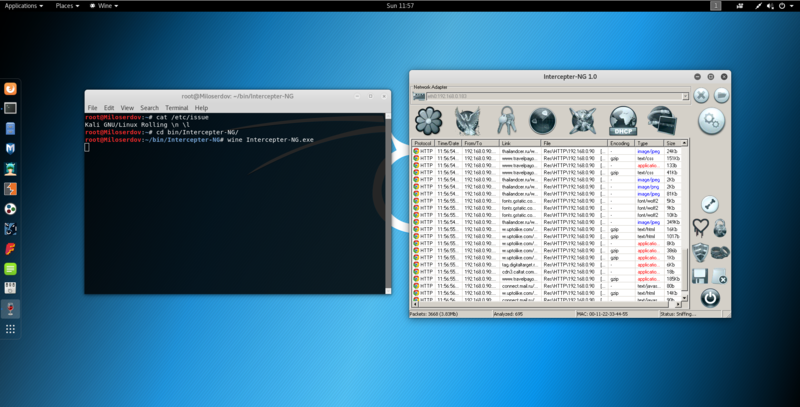 Intercepter-NG is a sniffer with a graphical interface that works under Windows. This program has a long history and at present Intercepter-NG is a multifunctional set of network tools for IT specialists of various types. The main goal is to restore interesting data from the network stream and perform various types of man-in-the-middle attacks (MiTM). In addition, the program allows you to identify ARP spoofing (can be used to detect man-in-the-middle attacks), identify and exploit certain types of vulnerabilities, brute-force the login credentials of network services. To detect files and credentials the program can work with both a live traffic stream and analyze files with captured traffic. 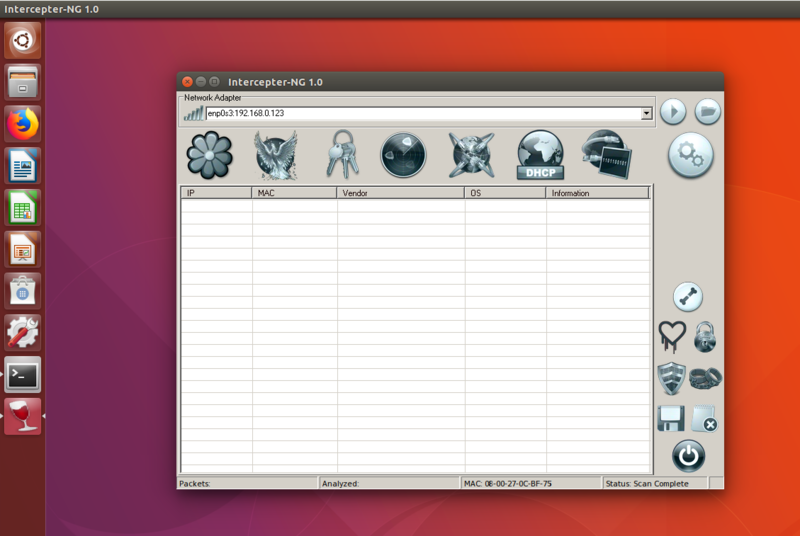 There are several versions of Intercepter-NG, including for Android. 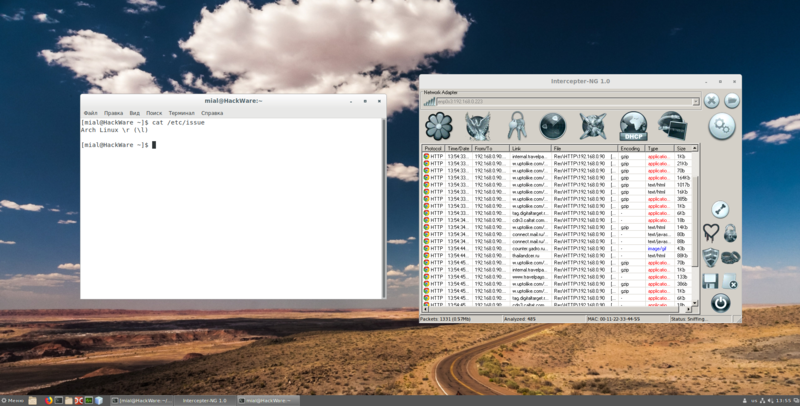 For Linux, a console version has been developed, but it has not been updated for a long time. However, the latest version of Intercepter-NG can be run on most Linux distributions using Wine. The installation process on different systems is similar. But at the same time, almost every distribution has its own nuances. I tested the installation in various distributions and assembled instructions for installing Intercepter-NG in Kali Linux, Ubuntu, Linux Mint, BlackArch and Arch Linux. There are some problems with Intercepter-NG in the latest versions of Wine. The main functionality, including sniffing, works. But network scanning (to search targets for sniffing on the local network) works fine only on the old version of Wine 1.6, i.e. only in Linux Mint; although it does not prevent sniffing in other systems. The bug on other versions is connected, apparently, with the problems of determining the MAC address by Intersepter. The rest of the installation process runs unchanged. You need to start by installing Wine.